The Deciphering Developmental Disorders study has discovered that only a small fraction of rare, undiagnosed developmental disorders in the British Isles are caused by recessive genes. The study by researchers from the Wellcome Sanger Institute and their collaborators estimated that only five per cent of the patients had inherited a disease-causing gene mutation from both parents, far fewer than previously thought. This will guide research and could lead to a better understanding of the risk for future pregnancies. Published in Science today (8 November 2018), the study also revealed two new recessive genetic conditions, enabling clinicians to give diagnoses to the families involved and helping inform families with these genetic problems in the future. Every year, thousands of babies are born who have differences in their genetic make up that stop them from developing normally. Most of these children have intellectual disabilities and many of them also have other problems such as seizures, autism and heart defects. The Deciphering Developmental Disorders (DDD) study aims to find diagnoses for children with as-yet unknown developmental disorders, and to understand the causes of these conditions. Previous work had estimated that up to half the patients in the study had disorders due to new mutations, which are only present in the egg or sperm of one parent, rather than in the rest of that parent's cells. 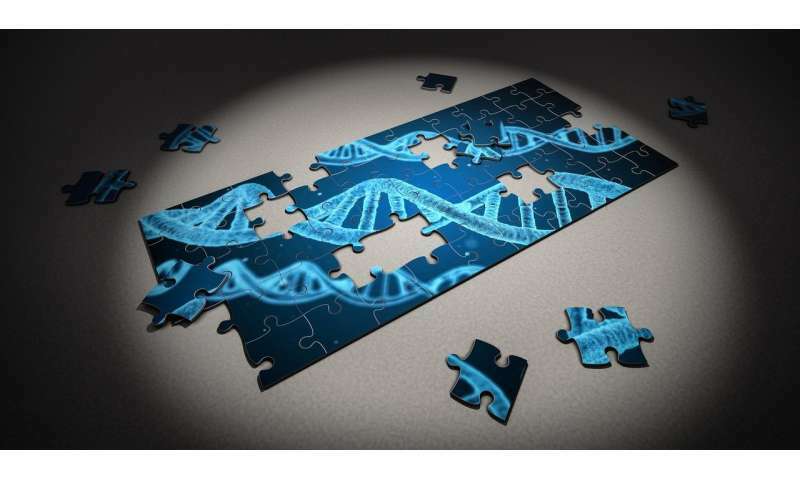 However, it was not known how many of the other disorders were due to recessive genes—where a patient needs to inherit a damaging genetic variant in the same gene from both parents in order to cause a disorder. Working with clinicians as part of the DDD study, the researchers sequenced the genes from about 5,500 patients with these rare developmental disorders. They created a new method of analysing the data to identify recessive causes in known or as-yet undiscovered genes. Surprisingly, they found that recessive mutations only explain a small fraction of the disorders. Dr. Hilary Martin, first author on the paper from the Wellcome Sanger Institute, said: "This study is the first unbiased estimate of the fraction of patients with recessive causes of rare developmental disorders. We found that only about five per cent of the patients in our study have disorders due to recessive genes, which is much lower than expected, and means there are probably other mechanisms we don't yet understand. Our result could also eventually lead to better personalised risk prediction for undiagnosed families thinking of having another child." The different types of genetic causes give families very different risks for future children, so the information is key. Families with new mutations only have a very low risk of having further children with the developmental disorder. In contrast, parents with recessive mutations have a 25 per cent chance that any of their children will inherit two damaged copies of a gene and suffer from the condition. The study identified two new recessive genes causing developmental disorders. The new diagnoses resulting from this discovery will provide explanations for the families involved, and help clinicians understand the disorders and identify them in any new patients. Dr. Jeff Barrett, senior author on the paper who carried out the work at the Wellcome Sanger Institute, said: "It is very important to families to find out what caused their child's developmental disorder. The families affected by these two new conditions will be able to contact and support each other, and the diagnoses could help guide possible treatments. The diagnoses also give the possibility for prenatal testing for the parents of these children to check future pregnancies." 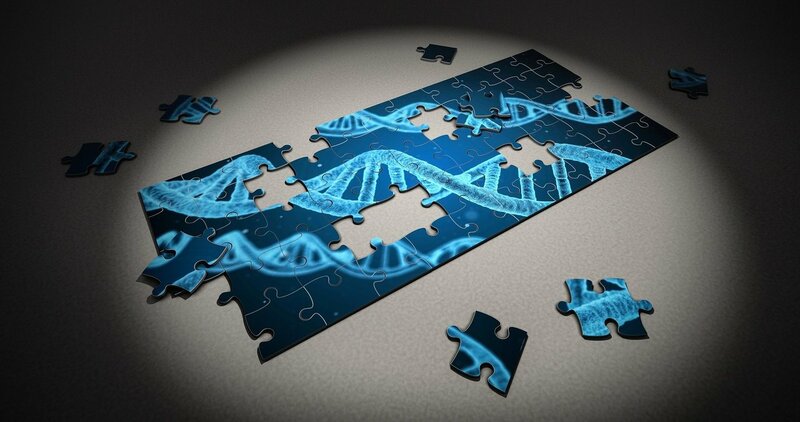 The research revealed that new mutations and recessive genes together only accounted for about 55 per cent of the patients in the study, leaving the mechanisms for nearly half the cases still to be discovered. Dr. Matthew Hurles, leader of the Deciphering Developmental Disorders project from the Wellcome Sanger Institute, said: "This study was only possible only due to the large number of patients and the expert clinicians we have been working with, and showed that few patients had recessive causes of rare developmental diseases. This indicates that for many patients, more complicated genetic mechanisms may be involved. The results will allow us to target our research to benefit the maximum number of patients in our study, to help them and their families receive the diagnoses they need."